A homely appearing place with spacious and airy rooms. OYO 11879 Kalpataru Apartments is a beautiful place with a simple external structure and a comfortable ambience. The bedrooms at the hotel catch a persons eyes through its walls that have a checkered design and the ceiling which is painted to resemble the daylight sky. 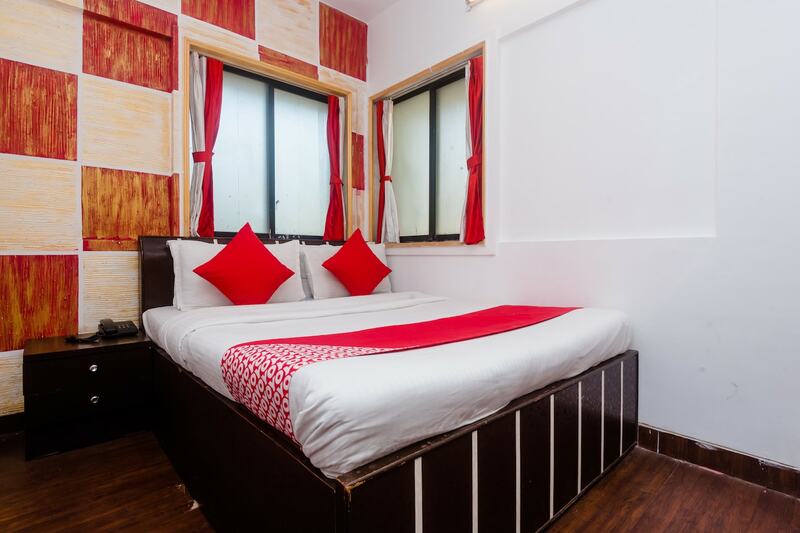 The rooms also have big windows that overlook the busy streets of Mumbai and allow the sunlight to stream into the room, making it bright and lively. The bathrooms are tiled and are equipped with basic amenities for the convenience of the guests. The hotel provides its guests with free Wi-Fi and a card payment option. CCTV cameras are installed all across the property ensuring the safety of the guests.